Hoody-Fricken-Hoo! "My" Adventure is Now Available Online. Last GaryCon I was offered a proposal to write a HackMaster adventure for Kenzer & Company. 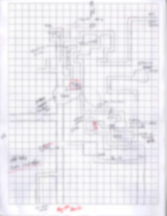 Steve Johansson had a skeleton framework of an adventure (a single page map), but didn't have time to flesh it out. He gave me the rough map with the designated encounters that I was "fortunate" enough to experience 1st hand as a player. ....and we did have a good time! took me a little more time to do, but I had that done in May. Fast-forward a few months of intense editing and Kenzer & Company has a new adventure to release. 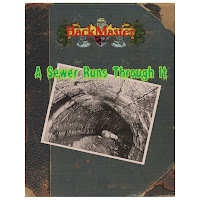 A Sewer Runs Through It is designed for 1st level PCs and can serve as a great start to an urban campaign. 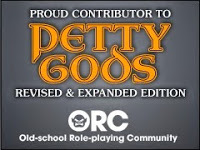 Although our experience at GaryCon was...interesting...I think most home groups would have a better go at it. .....and for the record, anything you don't like about the adventure is due to Steve's edits. The stuff you like....all me.